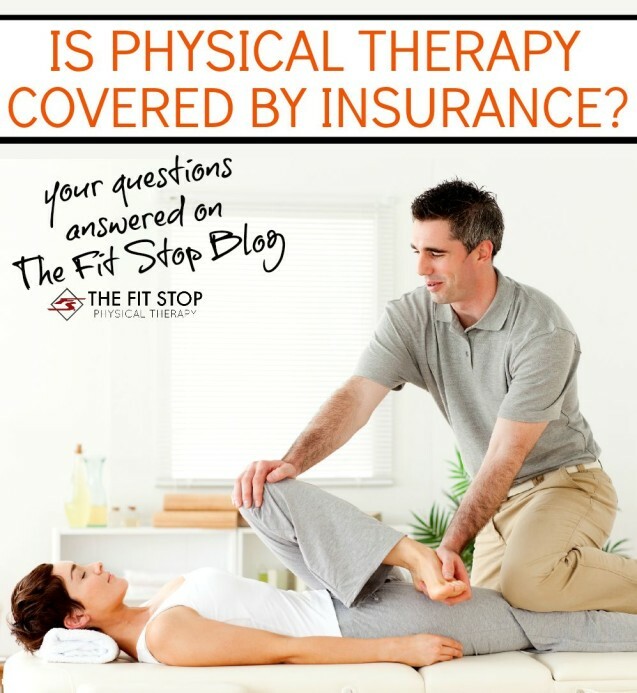 Over the past six years as a physical therapist at the Fit Stop, I have never seen a scenario in which someone had health insurance, and their plan DID NOT include PT. That being said, I have seen a HUGE spectrum of PT coverage within health insurance, from someone who can only receive six PT visits in a calendar year to plans which are based on “Medical Necessity” for PT. Medical necessity means that PT is unlimited in a given calendar year, as long as there is a medical need for such care. Limits to the amount of PT your plan provides can greatly impact your rehabilitation, particularly after a major event like surgery, so it is important to understand what your plan entails. Major components of any insurance plan include the deductible and copay amounts. The deductible is the amount required to be paid by the insured prior to any coverage being provided by the insurance benefit. The most common amounts of insurance deductibles range from $200 to $1000. High deductible plans have become more common in recent years, which range from $1000-$4000. It is important for PT patients to know that the deductible applies to physical therapy services. If the deductible has not been met yet, the entire cost of a PT session, which can range between $80-$200 depending on what type of treatment is performed, will be due to the PT provider until the deductible is paid off. The other major component, the copay for PT services, has been rising steadily over recent years. The copay amounts under the new Obamacare plans are higher than ever with copay amounts ranging from as low as $15 to an astounding $100 per visit. Inevitably we get asked “can copays/deductibles be waived by your PT provider?” Generally speaking, it is illegal for them to waived or “written off”. A consistent pattern of reducing copays or deductibles can put any PT clinic in hot water. However, in rare circumstances, for those with a documented financial hardship, adjustments may be available to those in need, depending on your specific insurance plan. Obviously these increasing deductible/copay amounts could have an impact on your ability to receive the PT you need, so, before starting your PT, understand what your cost will be. Most likely the Fit Stop Physical Therapy accepts your insurance. Please click on this link see the “Insurance Information” tab of this website for a list of the common plans we accept. Don’t see yours listed? Contact our billing specialists at 435-654-5607 and we would be happ to assist you. We have over 40 years of experience working with insurance companies and are here to help answer your insurance related questions.